They are easier to copy/paste on mobile in chats and text messages. They look neater. Generally, the idea is that Goo.gl Short URL or any other URL shortener service like bit.ly, is.gd and all for that matter, redirect traffic to the actual URL. These services were created to counter the 140 character limit on Twitter, but now they are used everywhere for all kinds of reasons. For example, http://goo.gl/3ZU5ed short URL is far more convenient shortened representation for the long URL – http://www.techacker.com/2014/03/samsung-launches-milk-music-pandora-free-radio-galaxy/. Though both of them point to the same page. 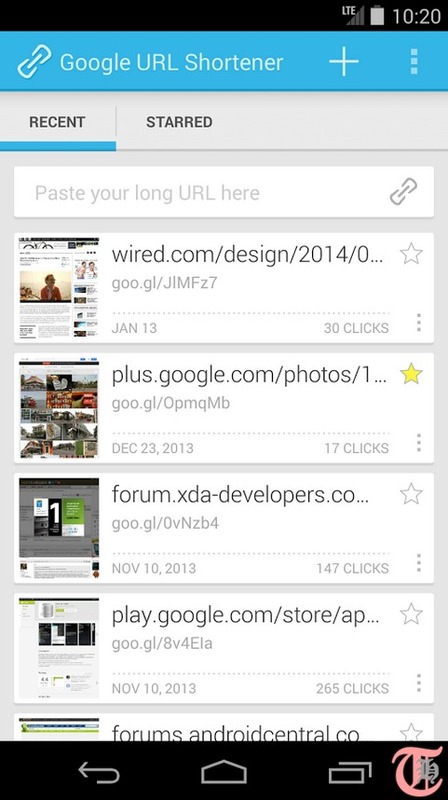 Goo.gl URL Shortener app is available in Google Play. To use, just login using your Google account. 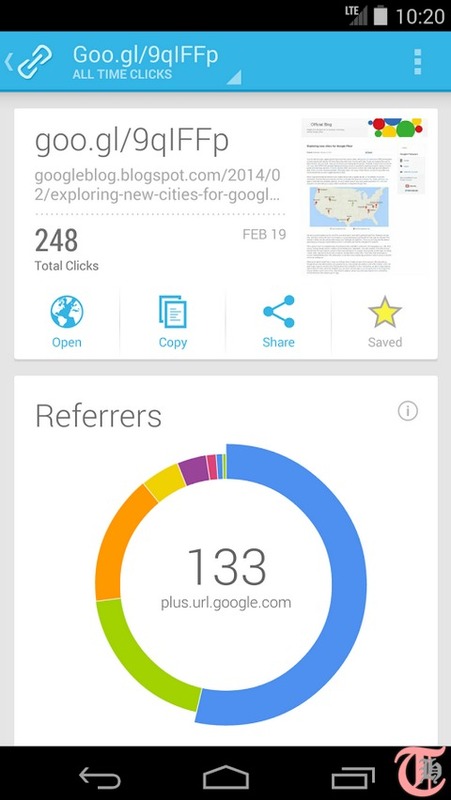 Goo.gl short URL will be copied to your clipboard and saved in app dashboard. Paste the link in another app, chat or messaging window. You may also install Goo.gl URL shortener in Google Chrome. 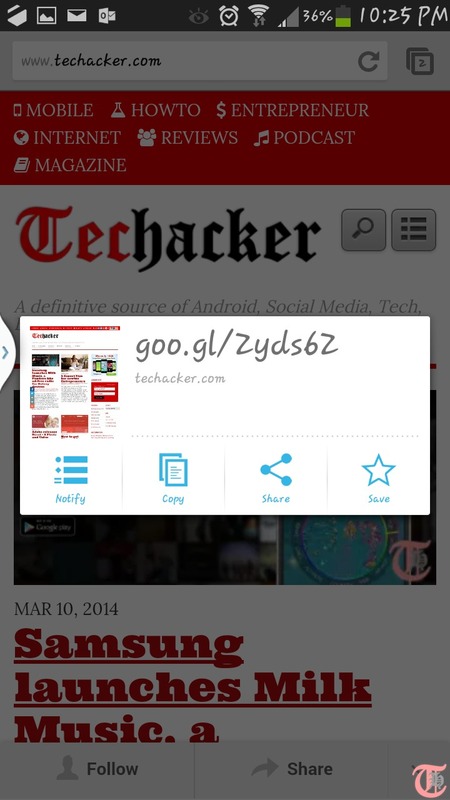 There are many such apps, but I use Goo.gl URL Shortener. Remember any link you create using the same Google account, it will appear in your history on Desktop and the goo.gl URL shortener app on your Android phone. Optimized for phones, 7″ and 10″ tablets. 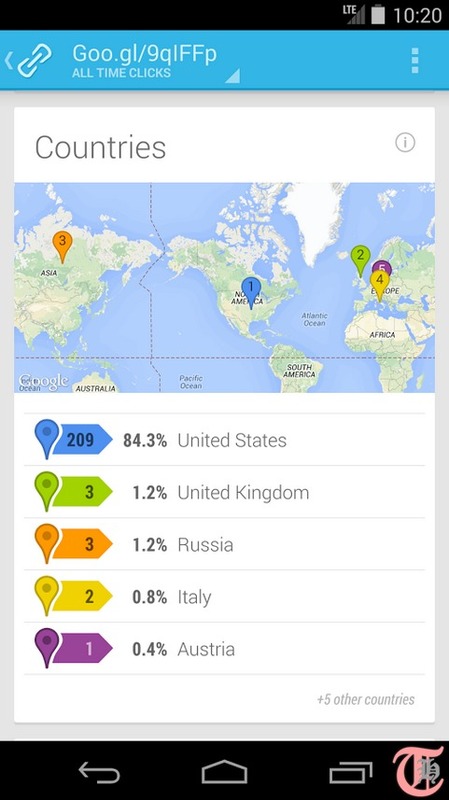 What do you think about this neat way of sharing long links? Do you use goo.gl or bit.ly etc. ?